10 Great Value Lunch Specials $6.99 and Under! *Special Drink Pricing available for Dine-in only. Great for the "Not Too Big" Appetite. "Best Luncheon Buy in Town!" 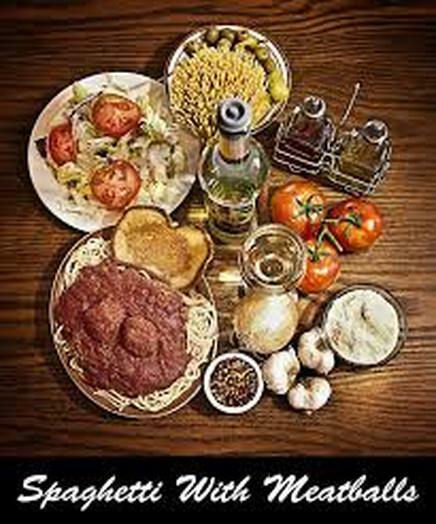 Served with your choice of Baked Potato or Spaghetti. Smothered in our tangy tomato sauce, & topped with mozzarella cheese. Baked just right! Freshly grilled chicken on a bed of lettuce with tomatoes & black olives. Tender spaghetti noodles with your choice of meatballs or meat sauce. 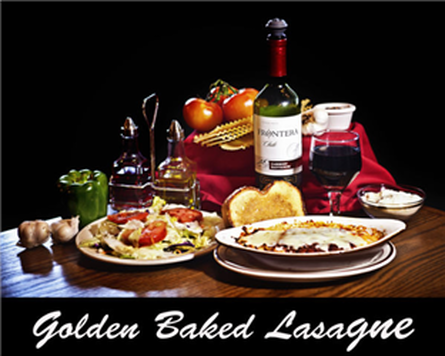 Lasagna noodles layered with meat sauce & 2 flavored cheeses. Baked to a golden brown. Served with lettuce, tomato & 1000 Island dressing on an onion bun with your choice of chips or salad. Marinated charbroiled chicken breast served with lettuce, tomato & Ranch dressing on a delicious onion bun with your choice of chips or salad. 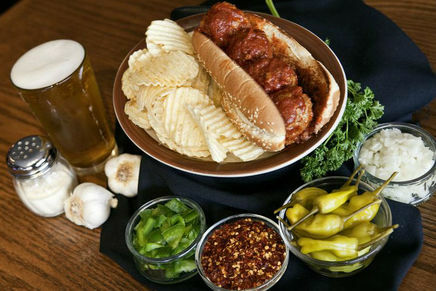 4 handmade meatballs tucked inside a toasted hoagie bun with your choice of chips or salad.